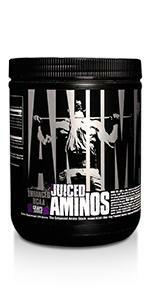 The Ultimate Nutritional Pack Designed Specifically For Dedicated Lifters Since 1983. Linden, New Jersey. 1983. 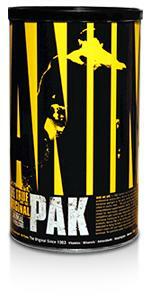 In that year, a passionate research team with a commitment to quality produced the very first can of Animal Pak. Today, Animal Pak is still made in the U.S.A. Today, Animal Pak is stronger than ever with a reputation for excellence known around the world. But Animal is more than just a name. Animal represents a simple belief that through hard work and dedication, you can be better today than you were yesterday. This is our belief and it’s part of our mission – to educate, inspire, and motivate. When you purchase any Animal product, whether it’s Pak, Flex, Pump, Test, M-Stak, or Cuts, you get more than just a high quality, effective product. You get an entire company standing behind the products with our industry leading guarantee and our confidence that you will be satisfied. 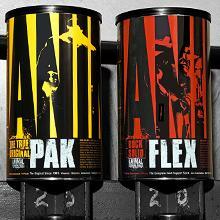 Since 1983, Animal Pak has been helping elite weightlifters enhance their performance and meet their lofty goals. From world record-holding powerlifters and Olympic competitors to Olympia bodybuilders and lifters in general, more athletes have put their trust in Animal Pak. 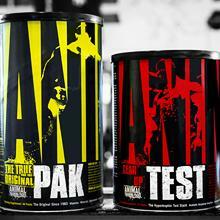 While Animal Pak has stood the test of time, it has not stood still. The venerable product has gone through many evolutions over the decades, keeping up with the latest in nutritional breakthroughs. 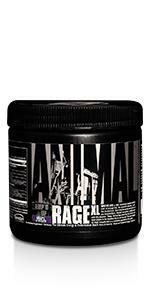 Today, Animal Pak contains everything you need and things you may not realize you need as a hard training athlete. When you’re competing at the highest level, a regular multi is not going to cut it. While ‘weekend warriors’ might be fine with a regular daily or even a ‘sports’ multi, you want and demand more. That’s why each packet (or ‘pack’) of Animal Pak contains higher doses of necessary vitamins and minerals. Vitamins (organic) and minerals (inorganic) are pharmacological agents and catalysts. They can exert ergogenic/anabolic benefits and function as the spark plugs for activating all the necessary chemical reactions which make training and building muscle possible. 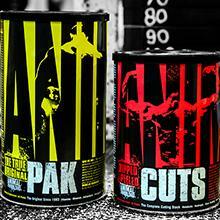 With Animal Pak, you get plenty of what you need and some key extras too. Animal Pak features performance optimizers as well. In every pack, you get a vast arsenal of over 75 key ingredients that are delivered in the right amounts at the right time, every time. Each of the 11 tablets included in each pack has been specifically formulated to deliver the goods. Consider the Animal Pak as the cast iron skillet of your supplement program, your body’s first line of defense. 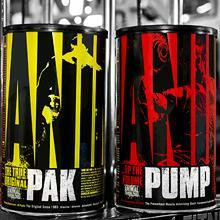 If you train with weights and do it with serious intent, then you should be training with Animal Pak. Remember, while most supplements have come and gone, precious few have stood the test of time. When you’re ready for the best, step up to the most trusted name in serious weightlifting nutrition. When you’re dieting, you run a greater risk of shortchanging yourself in terms of nutrition as you may be severely limiting your food choices. Animal Pak lays down the basic nutritional foundation to help minimize nutritional deficiencies while Animal Cuts ‘kickstarts’ your metabolism, enhances thermogenesis, and even helps you control water weight while giving you a boost of energy. These two core Animal products should be taken daily (without the need for cycling on/off). Animal Pak provides the core nutritional foundation for optimal performance while Animal Flex functions to help support your joints, ligaments and tendons so that you can train with peak intensity in the gym. 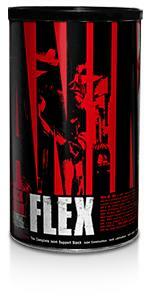 Animal Flex and Animal Pak can and should lay down the core nutritional foundation for any stack. With Animal Pak as the nutritional foundation, Animal Test can specifically help target muscular hypertrophy or the growth of skeletal muscle through the increase in the size of its component cells. Utilizing a key patented ingredient and a novel formula, Animal Test is a non-hormonal, pro-testosterone supplement designed to help ‘amplify’ the anabolic response from weight training. 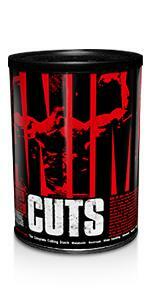 Animal Pak provides the basic, core nutrition required by all dedicated weightlifters. 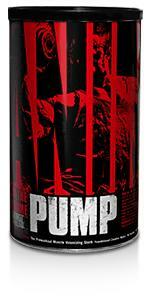 Animal Pump provides a formula to help enhance the ‘pump’ during lifting. During a proper workout, the muscles being trained fill with blood – engorging them and actually increasing their size. This process is valuable for growth as it brings needed oxygen and nutrients to the working muscles.